It’s a BOOK. It’s a GUIDE. It’s a PLAN. 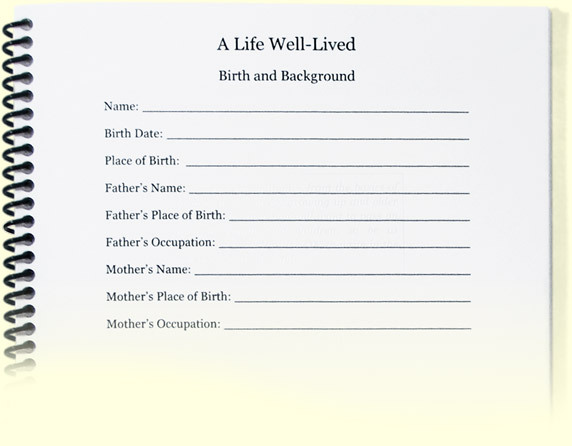 ObitKit is a BOOK: Fill out this creative and upbeat workbook to let your family know how you’d like to be remembered – in your obituary and for generations to come. ObitKit is a GUIDE: Let your loved ones know your final wishes and what sort of send-off you’d like. ObitKit is a PLAN: Let this guide be your final gift to family and friends, giving them peace of mind and a plan as they make difficult decisions at a time of grief, sadness and, sometimes, shock. What a gift! Since then, I’ve written obits for friends and family members and know the comfort and value of having accurate information at hand when it’s most needed. When my dad died in 1996, I had to write his obituary in the middle of the night with nothing to reference and no clues to what kind of burial or service he wanted. ObitKit was inspired by these two people so dear to me.